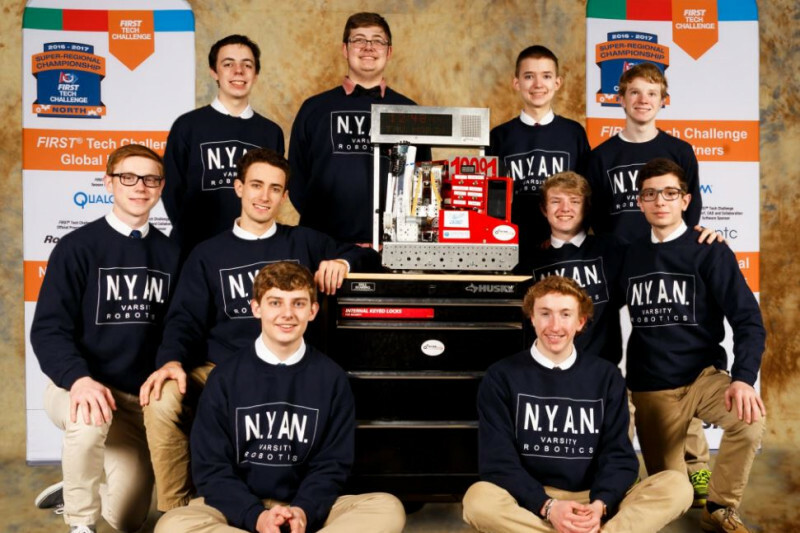 Team 10091 NYAN Robotics (Not Your Average Nerds) is an FTC team competing currently in this years challenge. FIRST Tech Challenge is a competition for high schoolers to design, build, and compete robots against other teams just like any other sporting event. This year the team won their state competition and are on their way to the WORLD CHAMPIONSHIP this year hosted in St. Louis. The team will be representing Carmel Catholic high school, Illinois, and now for the first time: team USA! Of course competing high performing and extremely intelligent robots like this isn't a cheap task, nor are our travels to competitions. This funding will be going towards making sure the team has what they need to compete at a world level, and making sure the team is around for years to come! Any help is appreciated! The team couldn't do it without you! Good luck at Worlds Team NYAN! So proud of you Kevin! Go NYAN!! Congrats on such an amazing year and best of luck at the FIRST Championship!